Luna Park --one day travel guideline! People may wander about how to spend the mid break holiday, the long time traveling is expensive and exhausted, so the one day trip could be more suitable for us!!!!! 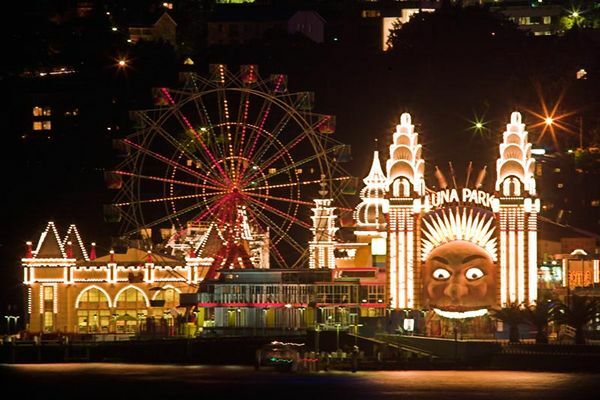 As we know, there are so many fabulous choices in Sydney, like the Blue Mountain, Bondi beach, Luna Park and so on. 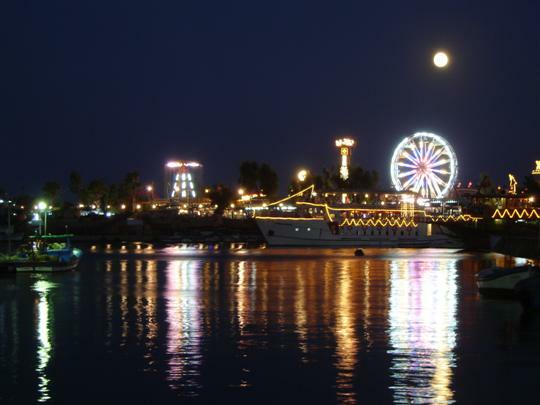 Luna Park is most suitable for the people who are enjoyed the exciting games and romantic view. Morning, take the ferry from the circular quay to Milsons Point, feel the fresh air through your face and enjoy the view of the miraculous Sydney. You are free to come into the Luna Park; the unlimited play ticket per adult is only cost you 44.95$, you are able to play all the games. Like: wild mouse, dodgem city, tango train, Ferris wheel, Tumble Bug ,Moon ranger etc. etc. Ferris wheel --Sit back and enjoy one of the best views of Sydney Harbour from the Luna Park Sydney Ferris Wheel. Flying saucer--Lean back and hold on tight As the Flying Saucer send you spinning into space. Tango train--With a disco theme and bright lights to match, the Tango Train is for thrill seekers that don't mind going backwards at high speeds. After a wild playing, you can take a rest in the park and have a simple meal with a great view of the harbour.